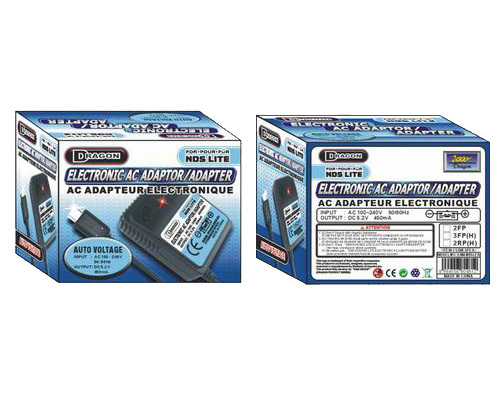 A fully compatible with Nintendo DS Lite AC adapter. The same function than original, so good for replacement or to have in a different location. Auto voltage 100 to 240 Volts. With a built-in red LED to indicate when in use. Dieses Produkt haben wir am Saturday, 24. June 2006 in unseren Katalog aufgenommen.